Love how your spirals flow into each other. Great, love your tangle combinations. 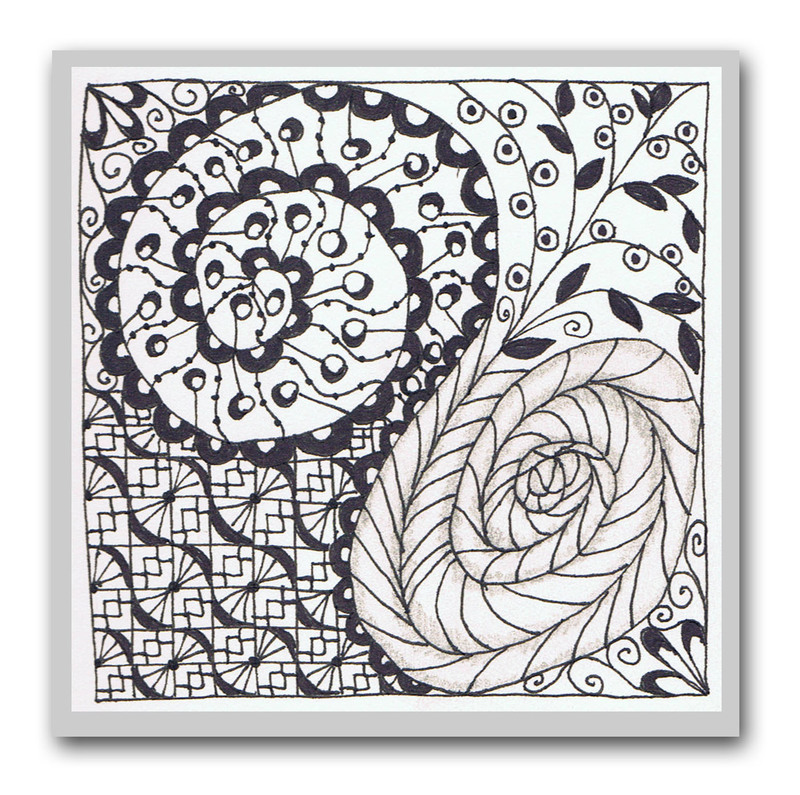 Your spirals look great; I really love the tangle in the left corner.